Karen excels in her ability to fire her traditional pieces outside and achieve such magnificent fire clouds. 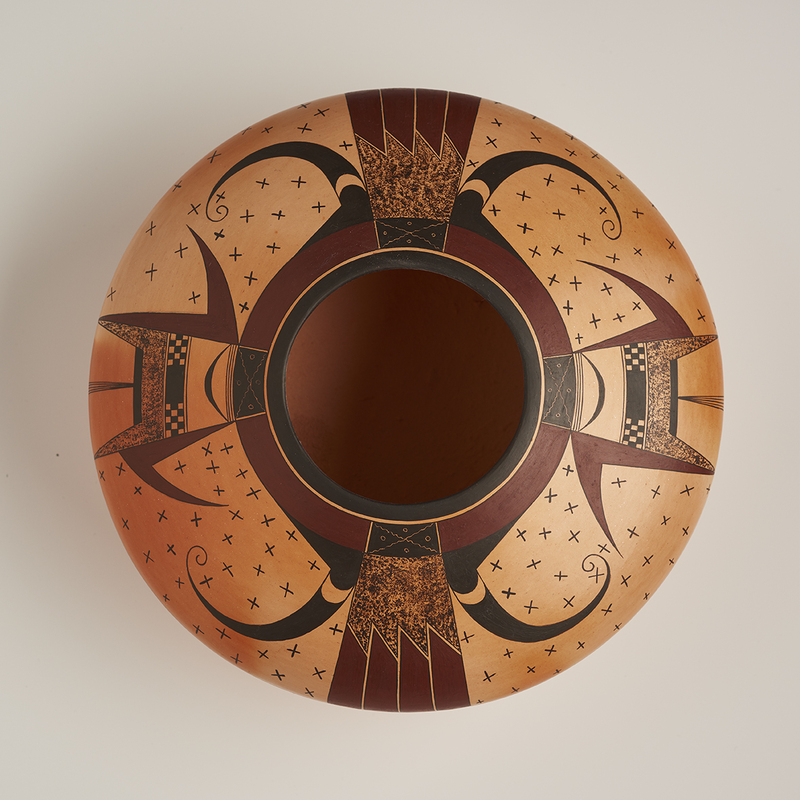 This bowl is so gorgeous in terms of shape, painting and colorations. What a blush she has attained. The oranges and red hues are warm and soft, and wonderful. 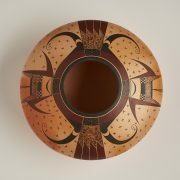 The design work shows old Sikyatki bird designs re interpreted with her personal touches by Karen. She has signed the bottom with her “shard” and X’s. Even the bottom is beautiful in tone. Karen Lynne Abeita-Daw was born in 1960 and is of Tewa and Isleta heritage. 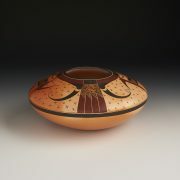 She is a member of the Parrot Clan and has been active making pottery since 1984. 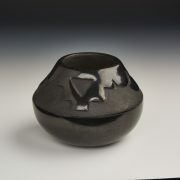 Karen learned pottery making techniques from Mark Tahbo and Fawn Navasie. She also studied with Rondina Huma. 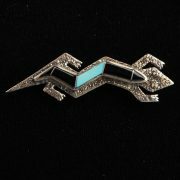 Her work is distinctive for her elegant, symmetrical forms and her precise and detailed decoration. Her pottery blends very traditional Hopi-Tewa designs showing her respect for the natural materials of the earth. She is one of the finest young Hopi potters working today.